Hanover, 19 September 2018. 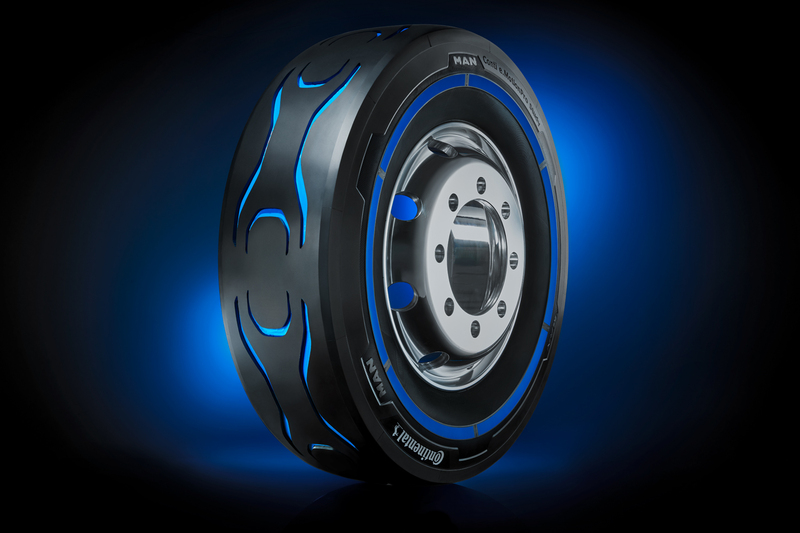 At the 67th International Motor Show (IAA) Commercial Vehicles in Hanover, which started today, the technology company and premium tire manufacturer Continental presented at its press conference the design tire Conti e.MotionPro, which was developed for the electric truck from MAN, the MAN CitE. Continental’s tire study combines a striking blue stripe on the sidewall with a hand-carved profile and blue groove bottoms on the tread. It fits perfectly into the modern design of the new MAN CitE. Continental’s experts drafted and implemented the design of the Conti e.MotionPro based on the layout coordinated with MAN. During the production of the green tire at the plant in Púchov (Slovakia), the sidewall shell was manufactured by hand and “pulse blue” paint applied to the sidewall while the tire was heated. The custom-made profile was then created in a laborious robotic cutting process and refined by experienced tire carvers in Stöcken, Hanover. At the same time, small rubber parts were pasted into the grooves by hand. Continental is one of the few tire manufacturers that can manually produce individual designs in small quantities. The MAN CitE is characterized by its ergonomic design with low entry, a consistently flatdriver’s cab floor and easy accessibility. In addition, the low seating position, large glass surfaces and supporting cameras give the driver and front passenger a clear view of the surrounding traffic. The brand new electric truck concept, which was developed in just 18 months, sets standards in terms of workplace ergonomics, safety and sustainability in urban delivery traffic. 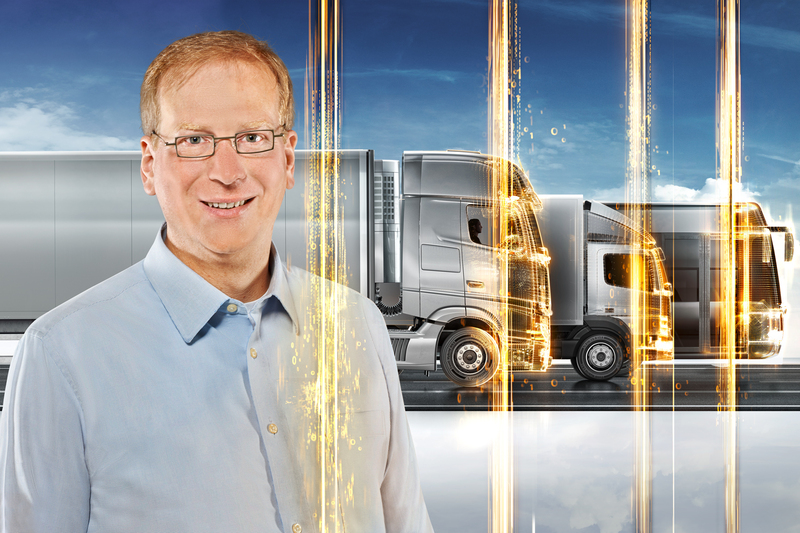 Klaus Kreipe, Head of Original Equipment Truck Tires at Continental, explains the challenges in tire development: “Electric vehicles can temporarily be fitted with conventional tires. 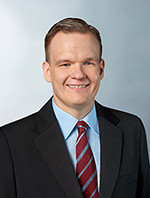 However, the new powertrains and the new vehicle concepts that are sometimes associated with them will change the requirements for commercial vehicle tires. We are currently making use of partnerships to gain valuable experience for the development of tires for electric trucks and buses.” Together with commercial vehicle manufacturers and municipal bus companies, Continental wants to develop tires with cutting-edge technologies for the start of production of electric vehicles, Kreipe announced. Optimising the vehicles’ range requires low energy consumption, i.e. optimum rolling resistance. New vehicle concepts can also mean changed center of gravity position, wheel loads and torques, and thus present potential challenges for the load capacity or wear resistance of the tires, for example. Increased load capacity or tractive power can also result in expanded requirements. Continental would like to develop and produce tires specifically for this. 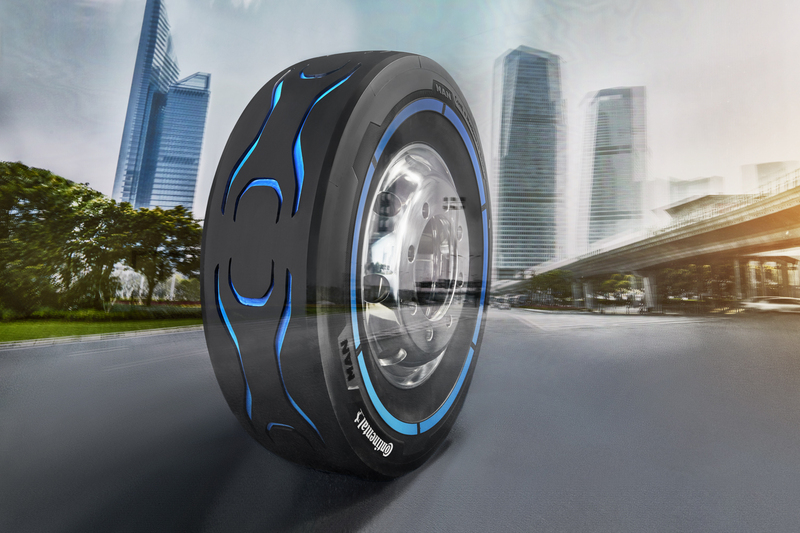 Especially with regard to optimized rolling resistance, the tire producer has many years of experience with - tires with reduced fuel consumption and a leading position among the competition. The Conti e.MotionPro design tire can be seen at IAA Commercial Vehicles on the new electric truck for use in the city, the MAN CitE, which was likewise presented for the first time today. The vehicle and tires are located at the stand of the commercial vehicle manufacturer MAN in Hall 12. The tire is also on display at Continental’s stand, A06/B11, in Hall 17.